...We arrive towards evening, when the restaurant is about to open. We sit in front of Omar Bertoletti. He responds kindly, but the words are always the same, repeated: "I'm sorry, we're full, full." Many would like to come and eat here. The Lombardy Region has declared this place ‘historical', and sure it is, as the restaurant has been open since 1850. Six generations have passed the witness, from mother to mother, until the day when there were no more female daughters. At that point, inevitably, the Bertoletti brothers took over. Omar, in the hall, and Ubaldo, cook. "Sons of art but not of school", as they like to define themselves. They learned from their mother, Angela Corbari, and from the grandmother Maria the dishes of the truest tradition. A precious, ancient baggage, but every day a little newer. They work since the '80s, grandfather Alceste had three big heart attacks, the grandmother had closed the restaurant and after a year the licenses would have been lost. This is how Mamma Angela decided to reopen the place with her children, who were just 18 and 21 years old. Today that mother Angela is gone, dishes continue to be a hymn to peasant culture, a declaration of love for the surrounding lands. Our dishes follow the season, but some proposals on the menu are always there. Starters made of cured meats, gardener, tuna meatloaf. The slices of lard on polenta. The main course, with pumpkin tortelli, of course, but prepared following the real Piadena recipe, with the sweet tomato sauce. Or the classic marubini, stuffed with beef stew. And then the mixed boiled, the fish, the duck cooked under the ashes for ten hours, over a very slow fire. Finally, the desserts, the zabaglione and the sbrisolona cake. Recipes that know history, that smell of knowledge, sometimes rethought and enriched with researches that lead to include different products, such as the saffron of Pozzolengo or leading to revisit the processing, to make it lighter and more digestible. In the background, a great passion. "To think that I would never have believed to do this job" says Omar. But luckily, destiny has chosen for him. And today he is there, in the hall, to welcome people, to tell the dishes that his brother Ubaldo, in the kitchen, prepares with love, dishes that speak about a long story, born a long time ago. When Slow Food published the list of the best “Osterie d'Italia”, in 1990, the local cuisine, the genuine one, knew a new life. Eating in places that use products grown and reared a short distance and cooked with traditional recipes has always been a smart and appreciated choice. But now it becomes something more, the necessary step for those in search of the most authentic cuisine. The dishes of Bertoletti / Corbari have all the cards in order to respond to those new needs. The products make up to 15 kilometers of road to get to the kitchen. The pigs, which come from farms in the Ostiano countryside, are healthy beasts, which weigh more than double those usually used for food processing, because they have been fattened calmly, for almost two years, they chill around, they eat well. Eggs for making fresh pasta come from happy hens, raised on the ground, as well as geese. The vegetables from local vegetable gardens. There is also fish, which comes from the nearby river, the Oglio. A land between two rivers can only be rich in traditions and culture. 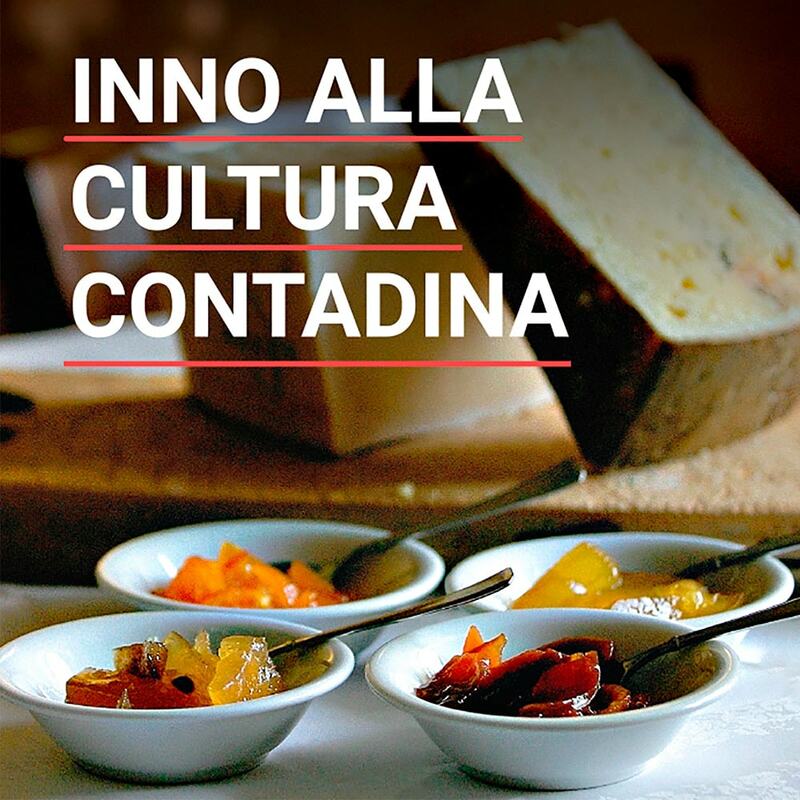 Ours is a cuisine linked to the products of a territory that is considered among the richest in Italy. The dishes are a hymn to the peasant culture, a declaration of love for the surrounding lands. Our dishes follow the season, but some proposals in the menu are always available. The genuineness and careful selection of raw materials (sought in organic farming and small local productions) combined with the skilful care of the kitchen allow us to give lightness to our foods. 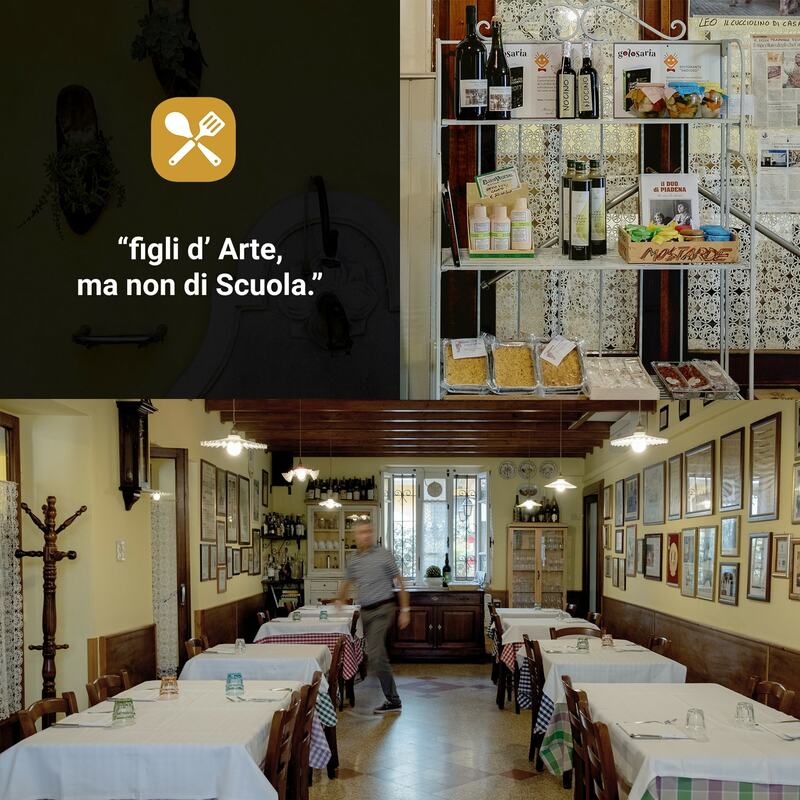 From here arise dishes such as pumpkin tortelli with sautéed sweet tomatoes, marubini with three broths, chicken in agresto, goose in terragna, duck with orange cooked under the ashes, pike pie and vegetables, baked eel, boiled meats, roasts, stewed snails and mustards. Unforgettable sweets: the zabaglione, the sbrisolona cake, the mantovana english soup, the fresh fruit sorbets. These culinary masterpieces are an example of how we can combine local tradition and attention to quality and delicacy. Do not forget the extraordinary cured meats of slow maturation and exquisiteness, 40 month old culacce, the rare raw shoulder seasoned with the bone, the local salami with the typical coarse grain that after a year of cellar remains very pleasant and fragrant. The remarkable rose of traditional dishes is complemented by inventive recipes, while remaining consistent with the simplicity of execution and territoriality. Recipes that know history, that smell of knowledge, sometimes rethought and enriched with researches that lead to include different products or that lead to revisiting the processing, to make it lighter and more digestible. In the background, it’s all inevitably supported by a deep passion.